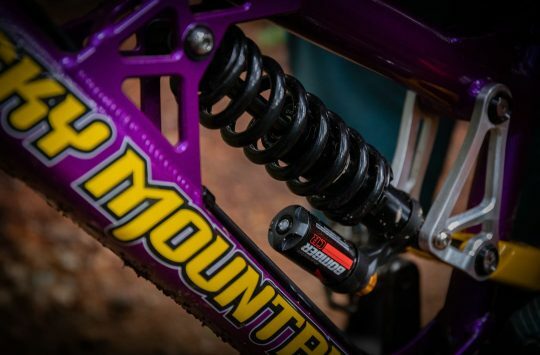 Custom suspension tuning used to be the stuff of science fiction for many mountain bikers. But more and more these days, suspension manufacturers are bringing greater adjustability and tuneability to forks and rear shocks in order to get your bike perfectly dialled in regardless of your weight and riding style. 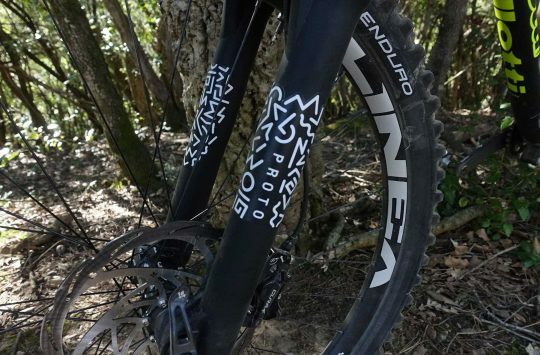 Italian brand Formula is one such company that is encouraging its customers to spend the time tuning their suspension fork to get the most out of it. 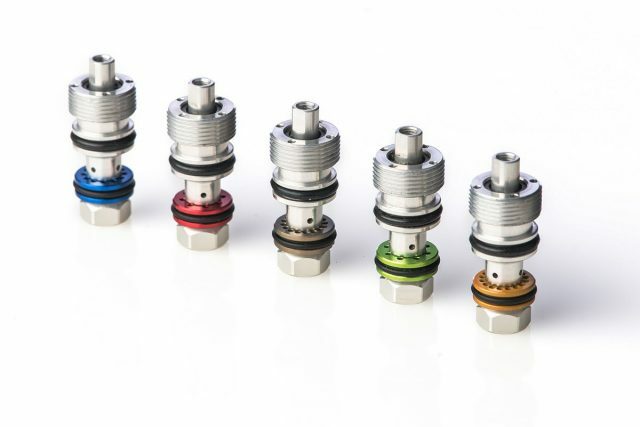 Released today at Sea Otter in California, Formula is unveiling a new range of CTS (Compression Tuning System) valves designed to help you achieve the perfect suspension feel for your Formula 33, 35 or Selva fork. Formula expands its line of CTS (Compression Tuning System) valves for the 2018 model year. Although Formula is best known for its line of disc brakes, the Italian hydraulic manufacturer has been steadily improving its suspension fork offerings lately, with the range having been bolstered by the new Selva fork introduced in August of last year. Joining the existing 33 and 35 forks, the Selva introduced a completely new Boost-specific chassis, while using the same sealed damper cartridge and hybrid coil/air spring system that Formula’s other forks have been using. One of the cooler features of the Selva fork that has kind of gone under the radar is the CTS valve system. 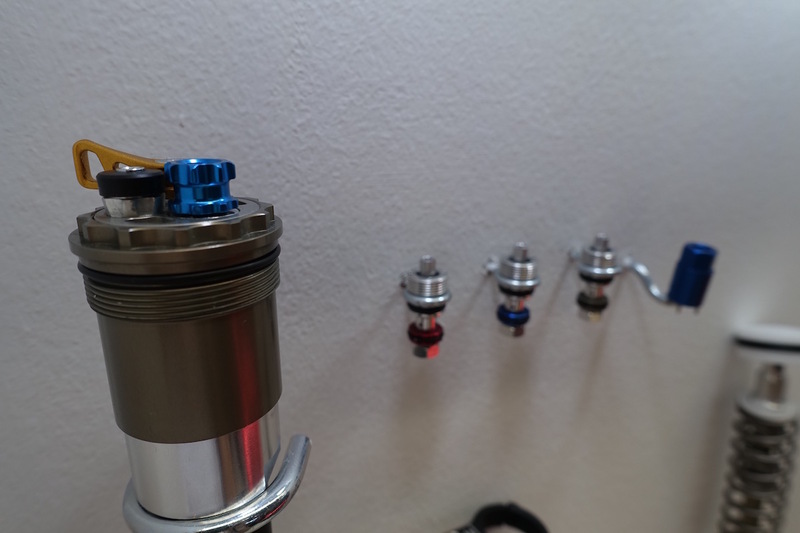 The CTS valves sit inside the damper, just underneath the top cap. CTS is a product that has been available from Formula for a while now, but for the 2018 model year, Formula is expanding the range of CTS valves to broaden the tuning capabilities on offer. With the included tool, swapping a CTS valve takes about 5 minutes to make custom tuning easier than ever before. With the each of the 33, 35 and Selva forks, you can externally adjust rebound, low-speed compression and lockout all from the top of the damper via coloured external dials and levers. 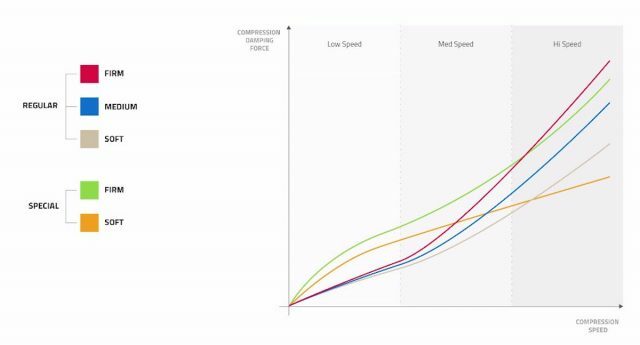 However, high-speed compression damping is otherwise pre-set internally, so you have no ability to adjust that on the fly. Instead, there’s a small CTS valve hiding underneath the top cap that determines the high-speed compression characteristics of the fork. If you want to change those characteristics, you can change the CTS valve. Formula has designed this system to be easy to perform by home mechanics, and claims it takes about 5 minutes to perform, so you could even do it at the bottom of a shuttle run with the idea of swapping valves around each lap to get a feel for which damping curve suits your riding style. Being a modular system, CTS has been designed to be easily swappable between each colour-coded valve. The beauty about this modular system is that riders and mechanics don’t have to sweat about shim stacks, different oil weights and oil volumes just to get a custom tune. Just open up the top cap, remove the current CTS valve, and plop in a different one. 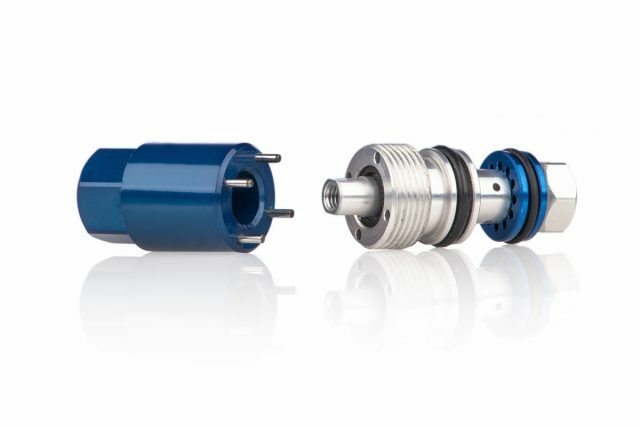 Included with the CTS kit is a small alloy 4-pin tool that locks into the valve to unthread and remove it from the fork, before installing a new valve. 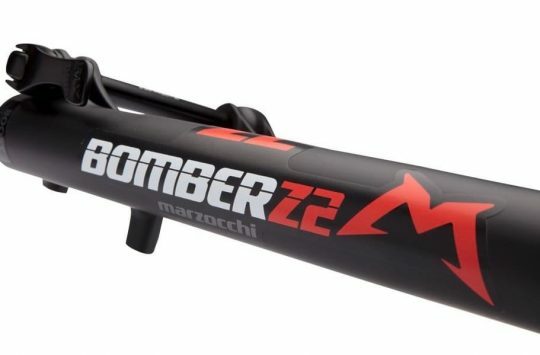 It’s unlikely to be appealing to all mountain bikers, as there are plenty of people out there who are already bamboozled by things such as air pressure and rebound damping. But for the fettlers, fiddlers and goldilocks riders, this is going to be very appealing indeed. Formula’s coloured spaghetti. Also known as a CTS damping curve graph. For some, this graph may appear to be coloured spaghetti. To others, this represents the damping curve of each of the five different CTS valves available. Up until now, Formula only offered the three ‘regular’ CTS valves. Now it’s added two new ‘special’ CTS valves that offer both firm and soft damping curves. Though as you’ll be able to see in the above graph, it’s the way the damping curve changes through different velocities where it gets interesting. We don’t have up to date pricing on the new CTS valves, but up until now, Formula has been selling it as a 3-pack with the CTS tool for €99, so that should give you an idea of what to expect. On a different note, given the attention Formula has been placing on suspension testing thanks to its partnership with Ancillotti Bikes for the Ancillotti enduro race team, we’d hazard a guess that Formula isn’t that far away from making some further additions to its product range. Perhaps we can expect a new Formula rear shock designed to match the Selva enduro fork? At the very least, there surely will be a Boost-version of the 33 fork coming at some point in the near future. Or maybe there’ll be something completely different?